Beginning in the early nineteenth century, the small town of Alford in far southwestern Massachusetts was the site of significant marble quarrying operations. Highly profitable for several decades, the quarries began to decline in profitability by mid-century when new sites became accessible by rail. By the early 1870s, the Alford Marble Works stood as one of the last quarries in the region to remain active. The Alford Marble Works ledger includes pay and work records for quarrymen during its last years of operation. Although the Marble Works is sometimes recorded as suspending activity in 1872, it is clear from these records that their work continued through the end of 1873. A resident of New Braintree, Massachusetts, Carol Andrews became interested in the work of gravestone carvers when working on the history of her local cemetery. She has subsequently conducted research on the history and production of carvers from central and western Massachusetts during the eighteenth and early nineteenth centuries. The Andrews Collection contains photographs and research notes arranged in alphabetical order regarding the work of identified Massachusetts carvers. Among the names represented in the collection are Abercrombie, Codner, Colburn, Daugherty, Geyer, Hartwell, Hastings, Kenfield, Kilburn, Kinney, Lewis, New, Park, Pool, Pratt, Rankin, Reed, Sikes, White, and Woods. Andrews assembled more comprehensive representations of the work of the Soules (Beza Sr. and Jr., Coomer, et al. ), William Young, and Thomas Harmon. The collection also includes some correspondence with Vincent Luti and Robert Drinkwater relating to her research. Founded in 1977, the Association for Gravestone Studies (AGS) is an international organization dedicated to the study and preservation of gravestones of all periods and styles. Based in Greenfield, Mass., the AGS sponsors conferences, workshops and exhibits, and publishes an annual journal, Markers, and quarterly bulletin. Their mission is to promote the study of gravestones from historical and artistic perspectives, expand public awareness of the significance of historic grave markers, and encourage individuals and groups to record and preserve gravestones. The AGS Collection consists of the central records of the organization plus a growing number of photographic archives of gravestone art donated by members and associates. Offering critical documentation of gravestones, tombs, and cemeteries throughout the country, but especially New England. 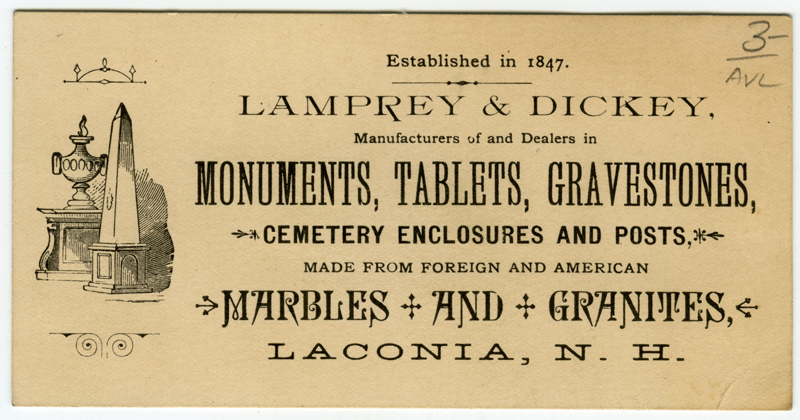 The AGS Ephemera Collections contains a mix of materials relating to gravestones and the slate and marble industries. Most of the items relate to the marble and slate industries in Western Massachusetts and adjacent areas in Vermont and New Hampshire. Born in December 1931, Friedrich Karl Azzola fled with his family to Germany in 1944. Settling in the state of Hesse, he earned a degree in chemistry at the University of Giessen and doctorate at the Technische Hochschule Darmstadt in 1965. After five years in the chemical industry, he was called to the Fachhochschule Wiesbaden-Russelsheim as professor, teaching chemistry and materials science to engineers until his retirement in 1997. Beginning in the 1950s, Azzola earned a wide reputation for his research on gravemarkers and “cemetery culture,” publishing widely on Medieval and early modern monuments in Germany. Part of the Association for Gravestone Studies Collection, the Azzola collection consists of a run of Friedhof und Denkmal (2000-2009, with a few earlier issues), along with a suite of offprints of articles and pamphlets by Azzola and others on cemeteries and gravemarkers. Peter Benes might be called the father of the Association for Gravestone Studies (AGS). In 1976, he organized a meeting in Dublin, New Hampshire, of people interested in colonial gravestones, naming the group the Dublin Seminar. Following a committee meeting in December 1976, the group met again in the summer 1977 to organize as the AGS. Benes served as Treasurer in 1977 and Archives Officer in 1978. 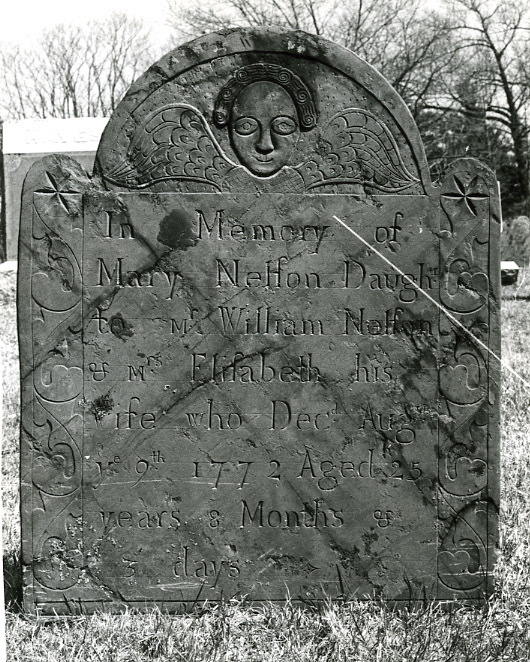 He received the Forbes Award of the AGS in 1979 for his role in founding the organization and in recognition of the contributions made to gravestone studies by his first book, The Masks of Orthodoxy: Folk Gravestone Carving in Plymouth County, Massachusetts, 1689-1805 (1977). He is currently (2009) Director of the Dublin Seminar for New England Folklife at Boston University. The Benes Collection contains 2,826 black and white photographic prints documenting a majority of the eighteenth century grave markers in southeastern Massachusetts, taken for his book The Masks of Orthodoxy. The images were taken in Plymouth and surrounding counties. Alex Beron, Jr., was a member of the Association for Gravestone Studies and a photographer of New England gravestones. The Beron collection consists of a many hundred color photographic prints of gravestones in Massachusetts and Connecticut, arranged town by town, and taken primarily in the late 1980s and early 1990s. A consulting architectural historian and urban planner based in Shreveport, Louisiana, Eric J. Brock was born in San Francisco, California, but with deep family roots in New York, New England, and the coastal Deep South. The author of sixteen books and several hundred popular and academic journal articles on Louisiana history, Brock is a member of the board and former president of the Oakland Cemetery Preservation Society of Shreveport, a former board member of the Louisiana Preservation Alliance, a member of Save Our Cemeteries of New Orleans, of Friends of New Orleans Cemeteries, and a current or former member of multiple preservation and museum organizations. Brock has a deep interest in cemetery preservation and in the multi-faceted role of cemeteries as archives of architectural, historical, genealogical, and artistic importance and as benchmarks of cultural change and development. With an emphasis on New Orleans and Shreveport, the Brock collection consists primarily of articles and newsclippings on Jewish and other Louisiana cemeteries. A senior archives and records management specialist at the New York State Archives, Warren F. Broderick has published extensively on topics ranging from gravestone carving to the history of the upper Hudson River Valley. He is co-author of Pottery Works (1995), editor of a new edition of Granville Hicks’s Small Town (2004), and a contributor of numerous journal articles of historical subjects. The Broderick Collection includes photographs of tombstones in Old Catholic Cemeteries in, Lansingburgh and Lebanon Springs, N.Y., and St. Josephs Cemetery, Pittsfield, Mass. The collection includes a folder of slides taken of St. Josephs Cemetery by Barbara Rotundo.